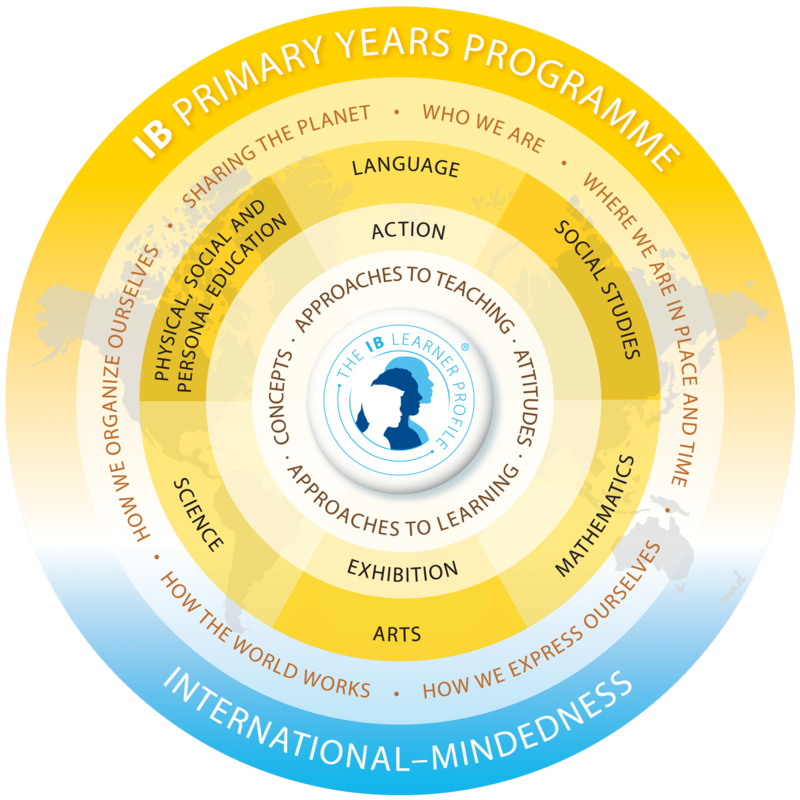 The International School of Estonia is authorized to provide the prestigious International Baccalaureate Primary Years Program (PYP) for children in preschool through grade 5. The PYP program emphasizes an inquiry-based learning program that educates the whole child. At the heart of the Primary Years Programme’s philosophy is a commitment to structured inquiry as the best approach to learning. Giving more ownership to the students in planning and assessing their learning, providing time, space, resources and support, integrating subjects, exploring big themes, we have moved toward more authentic learning. Throughout the programme, students acquire and apply a set of transdisciplinary skills: social skills, communication skills, thinking skills, research skills and selfmanagement skills. These skills are valuable for any learning that goes on within the classroom, and in life outside the school. Confidence, caring and curiosity are the key words for the early years (3-5 year olds) classroom. Through play and exploration children learn about themselves, others and the world. Though play, fun and enjoyment don’t end with preschool, the bigger focus from reception to grade 5 is on becoming inquirers, thinkers, knowledgeable and reflective learners. The PYP recognizes the importance of traditional subjects but even more it emphasizes the need for using the knowledge and skills of these subjects to explore significant concepts that are global and common for all humans. Therefore the PYP has identified six transdisciplinary themes that are explored through 6 units of inquiry in each grade level. The different units together create ISE’s Programme of Inquiry. Each unit lasts about six weeks giving ample of time for the students to demonstrate their prior knowledge and understanding, explore, wonder, experiment, solve problems, question, research, read, view, visit places, interview people, make connections, make meaning, and construct new knowledge and understanding. The students may work individually, with partners, in a small group or as a whole class. It is clear that not everything can always be integrated therefore there is time for subject specific learning. Then the teachers encourage inquiry and learning to act and think as musicians, artists, sportsmen, mathematicians, readers and writers. To celebrate and demonstrate what the children have learned we have class gatherings, put work out on the walls, invite parents and schoolmates for presentations, show it in many forms during the monthly PYP Assembly, and have student led conferences with portfolios twice a year. The culminating activity in the end of PYP is the PYP exhibition. This is not the end. Students are encouraged to reflect, to make informed choices and to take action that will help their peers, school staff and the wider community. The Lower School at ISE includes approximately 80 students. Average class size is 8 students. The Lower School curriculum is taught using the PYP (Primary Years Programme) of the IBO. Students spend about 2/3 of their day with their home teacher where they study English, reading, science, math and social studies. The other third of the day is spent with specialist teachers where students study art, music, technology, drama, library, French and sports. Parents are kept up-to-date through various classroom newsletters and blogs.